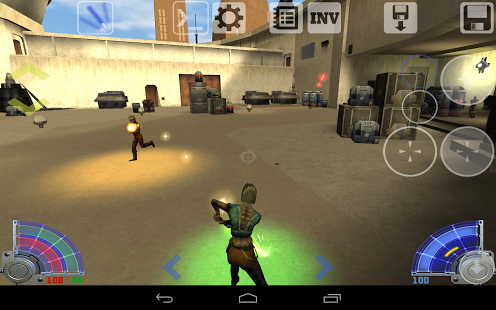 This update fixed weapon wheel graphics, download Jedi Academy Touch 1.2.1 apk for your android now if you experienced that bug in the previous release. "Forge your weapon and follow the path of the Jedi Jedi Knight: Jedi Academy is the latest installment of the highly acclaimed Jedi Knight series. Take on the role of a new student eager to learn the ways of the Force from Jedi Master Luke Skywalker." More featires on the Android Market. 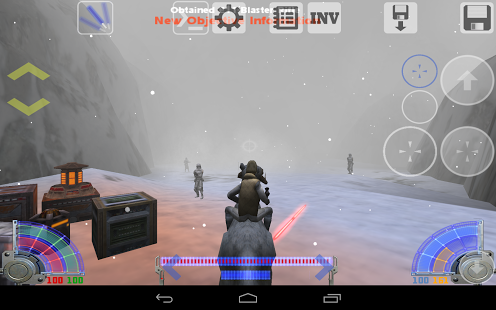 You may also like download Star Wars Rebels Recon MOD APK, another Jedi game for Star Wars fans. -To change gamepad axis sensitivity, long press on the axis on the Gamepad tab. 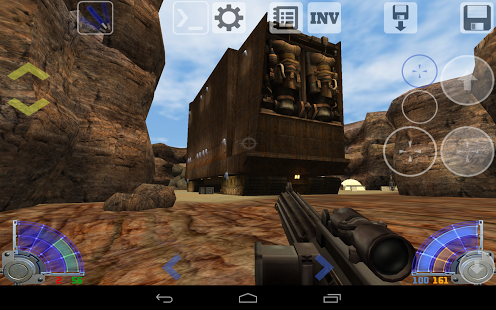 -To map the volume keys use the GAMEPAD tab. Custom bind Quick Keys (Square, Circle, Triangle, Cross) These optional extra buttons map to the F1,F2,F3 and F4 keyboard keys. You can enable/disable them by long pressing on them while editing the controls. Use the 'bind' command to bind them to actions of your choice, for example they this at the console: "bind f1 weapon 1" Will bind the red triangle to show/hide the light saber.